ou may have seen other “shooter oriented” tools, but what makes Multitasker® unique is the weapon-specific focus. The “Pocket Toolbox®” approach means that the tool loadout is uncompromisingly biased toward maintenance tasks for the AR platform of weapons. 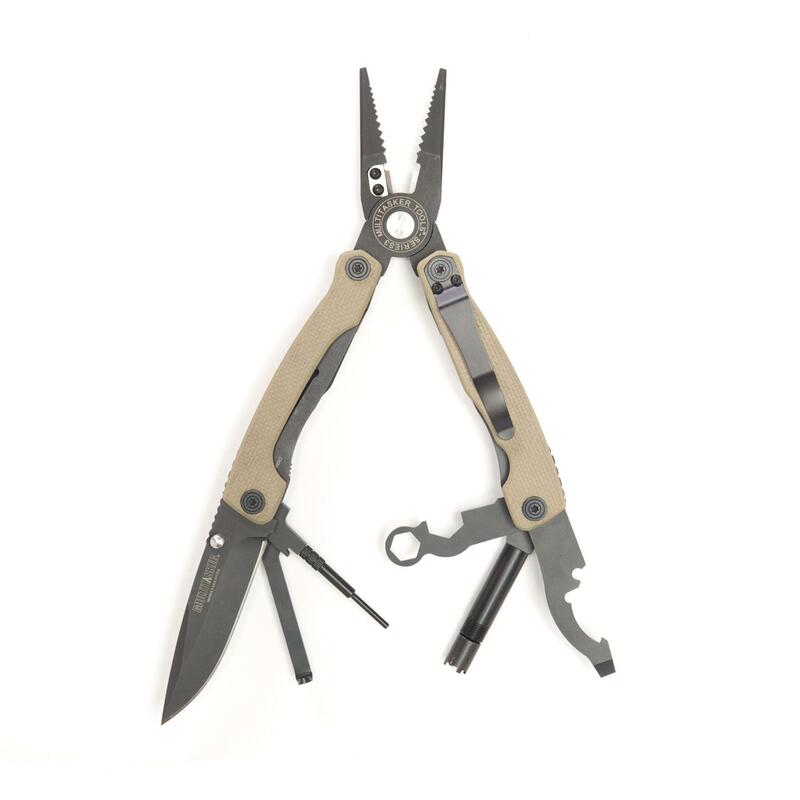 Unlike other mass produced multitools, Multitasker utilizes “best in class” materials and production methods to achieve build quality that is head and shoulders above the competition. For example, instead of cost-saving investment castings, Multitasker employs CNC machining (and solid billet steel material) to make the plier head and other major components. G10 scales, commonly used for tactical knives, are selected to help insure a slip-resistant gripping surface. Self lubricating aluminum-bronze washers and rust resistant Ti Carbonitride treatment on the pliers help provide for maintenance-free operation. That’s why Multitasker is fast becoming THE tool of choice for leading training professionals as well as elite military/law enforcement agencies. No other multitool can compare. CNC machined plier head (D2 tool steel); the only one on the market!